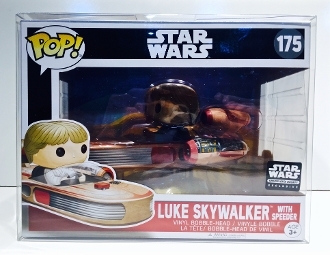 1 custom box protector for the Luke Skywalker with Speeder Smuggler's Bounty exclusive. This doesn't fit anything other than this item that we know of at this point. This is not set up to ship Internationally. It is pretty long and it will be expensive to ship but contact us with your location if you are interested and we can figure out what it would cost for you.